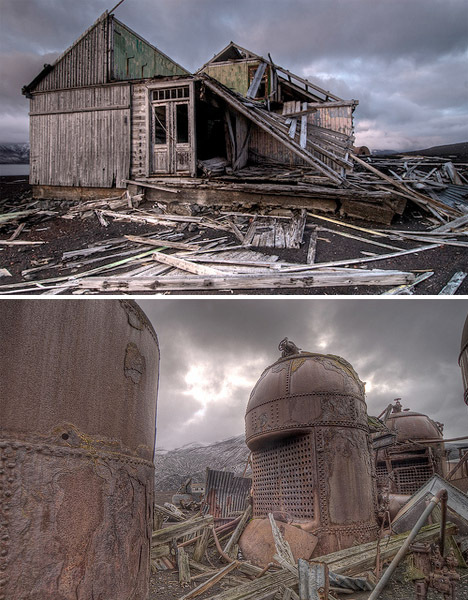 Established as a ship base on C-shaped Deception Island by a Norwegian-Chilean whaling company in the early 20th century, Whaler’s Bay was abandoned when oil prices plummeted during the Great Depression. It sat empty until the British reclaimed it as a base in 1944, but a series of volcanic eruptions in the 1960s sent everyone packing again. A mudslide caused by the most recent eruption in 1969 buried many of the structures. 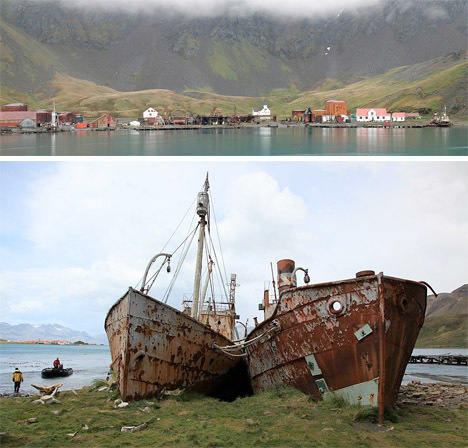 Decades later, it’s totally empty but for the remains of the buildings, equipment and ships. Deception Island is so named because the tiny entrance to its bay is difficult to find; some explorers thought the island was nothing but high, rocky cliffs that are impossible to access. Once inside, however, visitors are greeted by surprisingly warm waters courtesy of the dormant volcanoes, which boil in some spots but offer comfortable bathing in others. 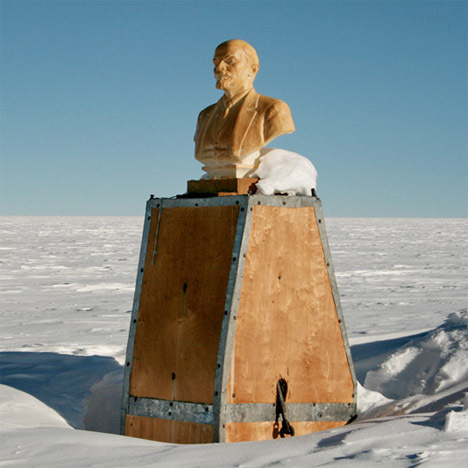 The southern point of inaccessibility – the point in Antarctica that’s furthest from any ocean – is the location of a now-defunct Soviet research station established in 1958. As difficult to reach as it was, the station was never very robust; it had a hut for four people, a radio shack, and an electrical hut, all of which were pre-fabricated and brought in on tractors. 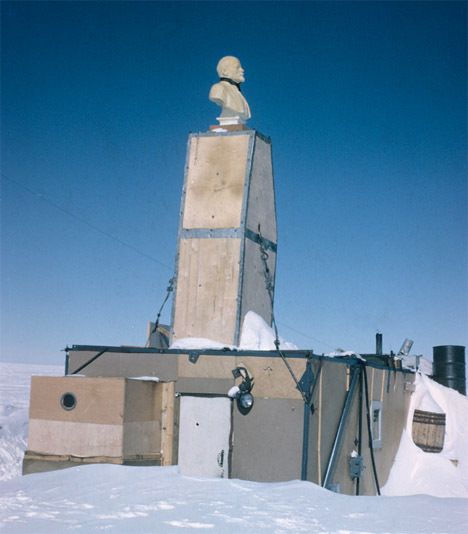 The base was in use for a whopping 12 days before it was suspended indefinitely due to its remote location. All that was left behind was a single building topped with a bust of Vladimir Lenin. Snow drifts have buried most of the building so that the bust is all that can be seen of it today. 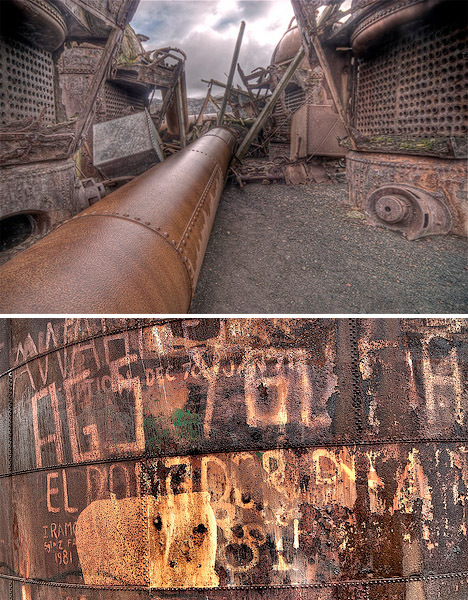 This rusted jumble of equipment was once a large Norwegian whaling base, with about 300 men working to process captured whales, rendering the blubber, meat, bones and viscera into oil. 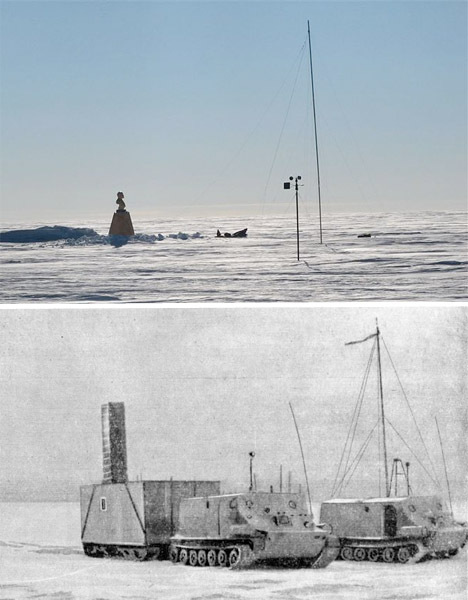 Established in 1904 in the most protected harbor of British-owned South Georgia Island, which offered plenty of flat land for building, it soon became home to an Argentine meteorological station as well. But over the following sixty years, the population of whales in the seas around the island declined dramatically, and by 1966, the station closed. 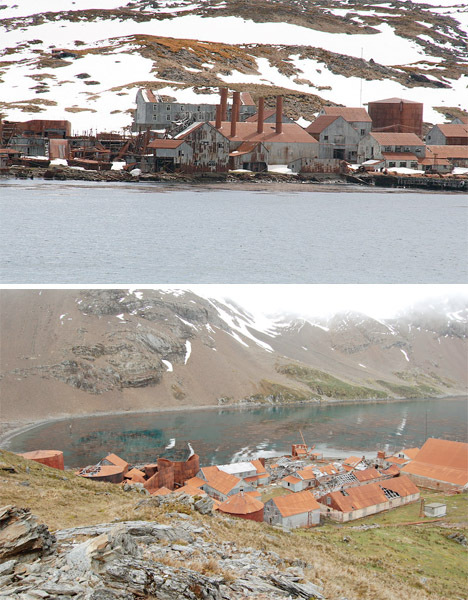 The whaling station site is still littered with whale bones as well as carcasses of industry and architecture. 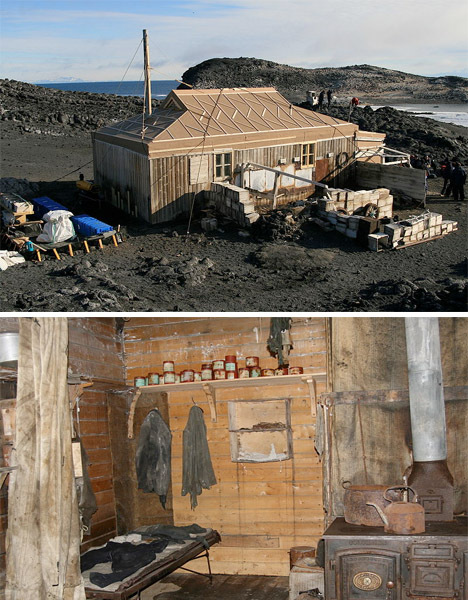 The island of Grytviken is also the gravesite of the explorer Ernest Shackleton, who was buried alongside whalers who died there. The largest of seven whaling stations built near the mouth of Stromness Bay on the island of South Georgia, Leith Harbourwas established in 1909 and included a library, a cinema and a hospital. 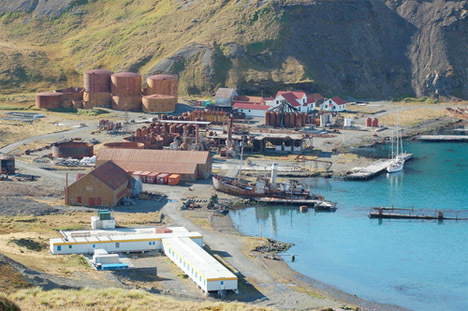 Along with Grytviken, Leith Harbour managed to escape a German raid during World War II that destroyed most of the British and Norwegian whaling facilities. 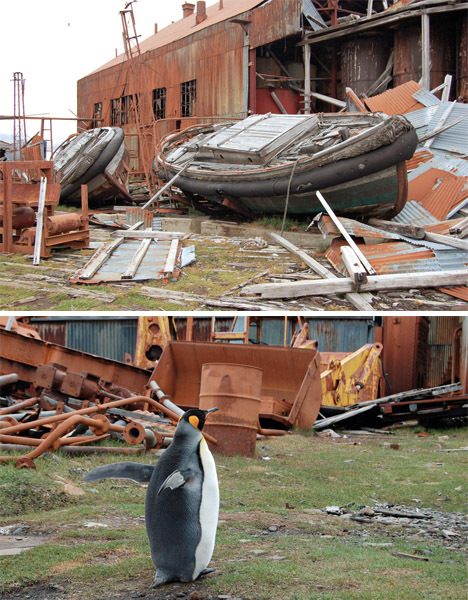 But it, too, was abandoned for good in 1965, a casualty of the whaling decline that claimed so many of the other factories. 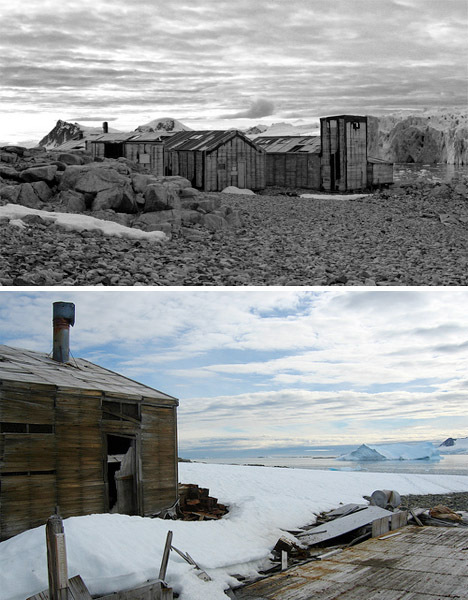 The United States Antarctic Service established its East Base on Stonington Island in 1939, and just a few years later, the British built their own Base E 250 yards away. Both bases had to be periodically closed due to icy conditions, but in 1975, Britain left its own behind for good. They came back to clean it up and remove the debris in 1991 and 1992, but the US East Base still remains. 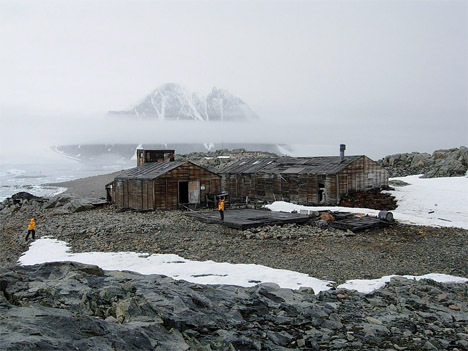 Established as a British survey base in 1956, Base W is located on the protected shore of Detaille Island. 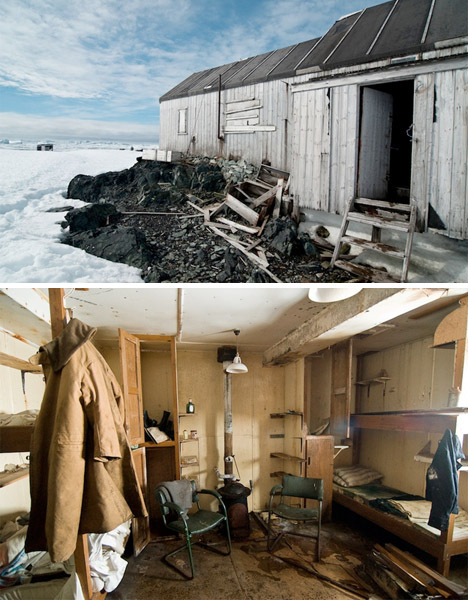 It seemed like the perfect setting for the base, but the year it was built was milder than usual, and in subsequent years, the bay became cluttered with ice, making navigation extremely tricky. When the relief ship John Briscoe arrived at the end of the summer season in 1959 with overwintering supplies, they found the bay not only impassable, but so dangerous, they couldn’t stick around. The staff of Base W had just one hour to pack up and get on the Briscoe, leaving behind all that can still be found there today – rusted cans of food, magazines, clothing and other personal items. 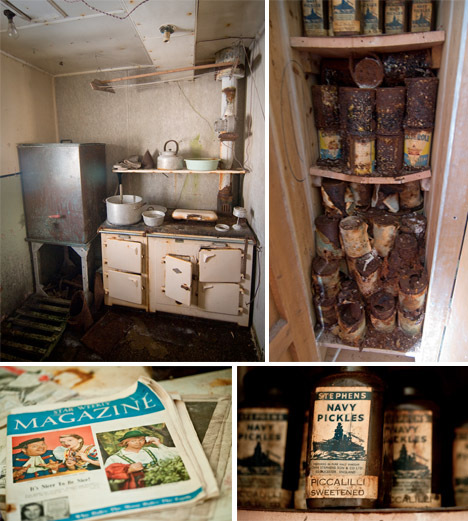 Those lucky enough to visit find it an eerie time capsule, virtually untouched since that day. In 2004, the British attempted to return to Base W to either preserve it as a historical site or knock it down and remove all traces of it. But the ice foiled their plans, as well. Instead, they headed to Base O on Danco Island, another abandoned research facility, which they removed. 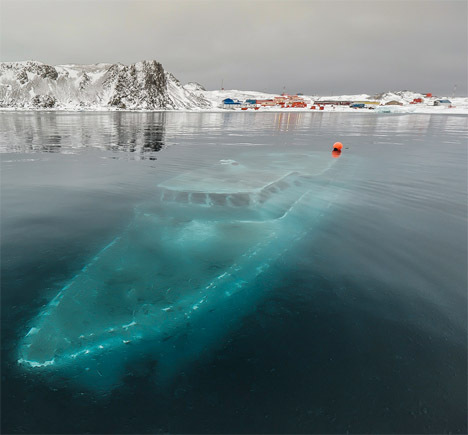 For a brief period in 2012, the freezing cold waters of Maxwell Bay in Ardley Cove, Antarctica sheltered what looked like a ghost ship from above, glowing iridescent blue just a few meters below the surface. 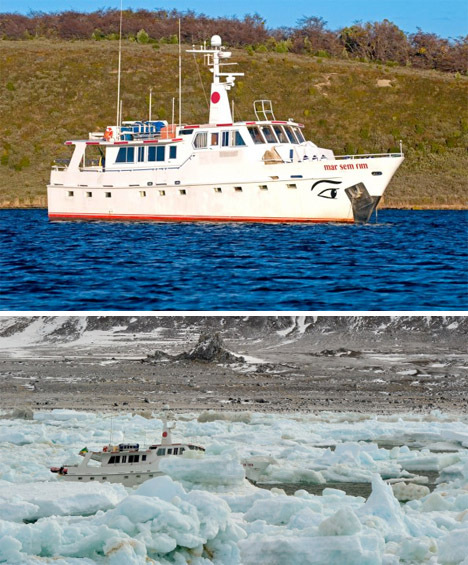 The Brazilian research vessel Mar Sem Fim (Endless Sea) held four researchers filming a documentary in Maxwell Bay, but became stuck in the ice. The weather turned, and waves several meters high along with 40-knit winds caused the ship to lean to one side. 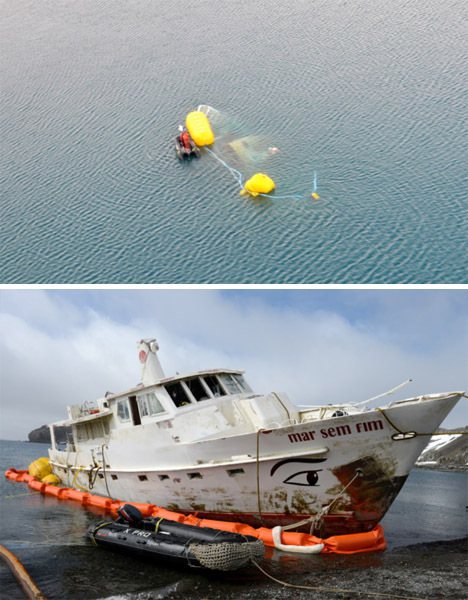 The Chilean navy rescued the researchers, but the ship had to be left behind. Water from those towering waves froze inside the ship, splitting the hull and sending the vessel to the bottom of the shallow bay. It stayed there for nearly a year, until the owner managed to return to the site and use buoys to gradually raise it from its watery grave and bring it back to shore. 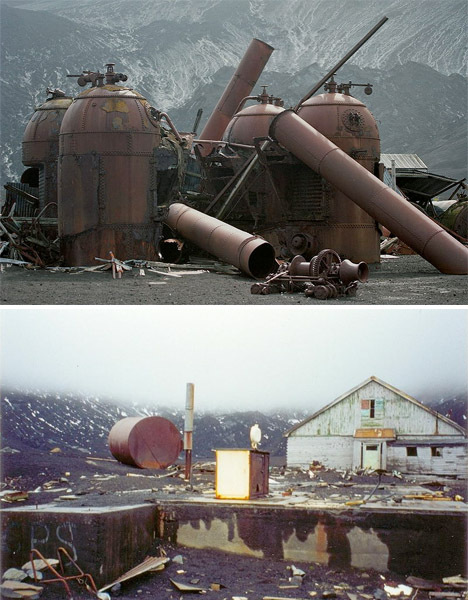 1 response to "7 Abandoned Wonders of Antarctica "
Reminds me of Easter Island with the statues whats left after the fall of humans. That day may be coming again soon with the end of (cheap) oil within the next twenty years.